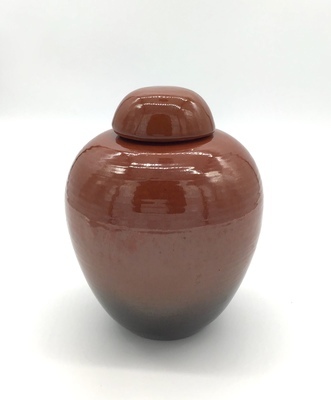 "C MTT 082-0269 Side A"
Ginger jar mason red glossy, 8 lid. "C MTT 082-0269 Side A" (2017). UND Pottery Collection. 1120.